It is now legal to use marijuana (recreationally and/or medically) in more than 20 states and the District of Columbia, and as more places debate legalizing the substance, more people are asking about its consequences on human health. There are many myths and misconceptions out there, but this is what science has to say about the subject. As with all substances, the health effects depend on the potency, amount, and a person’s age. An independent scientific committee in the United Kingdom evaluated how harmful various drugs were based on 16 criteria and ranked heroin, crack cocaine, and methamphetamine as the most harmful drugs to individuals using them, and ranked alcohol, heroin, and crack cocaine as the drugs that cause the most harm to others. Marijuana ranks eighth, with slightly more than one-quarter the harm of alcohol. Short-term use is associated with impaired short-term memory, making it difficult to learn and retain information while under the influence. Short-term use can also impair motor coordination, interfering with tasks such as driving. The overall risk of an accident doubles if a person drives soon after using marijuana. In comparison, those with blood alcohol levels above the legal limit are five times more likely to have an accident, and the combination of alcohol and marijuana is higher than either one alone. Long-term or heavy use is associated with diminished life satisfaction and achievement overall. At high doses, marijuana can cause paranoia and psychosis, and long-term marijuana use increases the risk of developing schizophrenia or other chronic psychotic illnesses. Nine percent of all marijuana users, or 2.7 million people, develop an addiction to it. That figure jumps to 25-50 percent for those who use marijuana daily, and 17 percent of people who begin using marijuana as adolescents become addicted. Cannabis withdrawal syndrome is real and includes symptoms of irritability, sleep disturbance, dysphoria, craving, and anxiety. Adults who occasionally use marijuana do so with little to no risk, but adolescent brains are not fully developed, making them more vulnerable to the adverse effects of marijuana. Using marijuana during adolescence can alter brain development, causing impaired cognition and lower IQs. This is probably because the active ingredient in marijuana, tetrahydrocannabinol, affects the brain’s ability to make connections between neurons in certain regions of the brain. Adolescent marijuana users also have a smaller hippocampus, which is important in learning and memory, and a less active prefrontal cortex, which is important in cognitive tasks such as planning and problem-solving. Since acute marijuana intoxication can impair cognitive functions for days, students who use marijuana may function well below their natural abilities, causing academic difficulties. High school dropouts do report higher marijuana usage than their peers. Some evidence suggests that these cognitive impairments could be long-lasting or permanent in long-term users who started at younger ages, which can impact their abilities to succeed academically and professionally. There is no clear association between long-term marijuana use and any deadly disease, although chronic marijuana smokers have increased rates of respiratory infections and pneumonia and an increased risk of heart attack and stroke. The effects of marijuana on a developing embryo and the effects of second-hand or third-hand marijuana smoke have not been well-studied, but as marijuana legalization continues to be an issue the science behind it will as well. Peanuts creator Charles Schulz once said, “All you need is love. But a little chocolate now and then doesn’t hurt.” New research shows he might be right. In one study, certain compounds in cocoa called flavanols reversed age-related memory problems. Flavanols, found in a variety of plants, are potent antioxidants that help cells in the body deal with free radicals. Free radicals arise from normal cellular processes as well as from exposure to environmental contaminants, especially cigarette smoke. Unless your body gets rid of free radicals, they can damage proteins, lipids, and even your genetic information. You can get flavanols from tea, red wine, berries, cocoa, and chocolate. Flavanols are what give cocoa that strong, bitter, and pungent taste. Cocoa is processed through fermentation, alkalization, and roasting among other methods, which can influence how much of the good flavanols are lost. Among the products made from cocoa, those with the highest levels of flavanol are cocoa powders not processed by the Dutch method, followed by unsweetened baking chocolate, dark chocolate and semi-sweet chips, then milk chocolate, and finally chocolate syrup contained the least. In the latest study, a cocoa drink specially formulated by the Mars food company to retain flavanols was compared with another drink that contained very little flavanols. The study asked 37 randomly selected adults aged 50 to 69 to take one of the drinks. One group consumed 900 milligrams per day of flavanols and the others consumed only 10 milligrams per day for three months. Brain imaging and memory tests were administered before and after the trial. Those who consumed the high levels of cocoa flavanols had better brain function and improved memories. Before the study, the subjects on average demonstrated the memory of a typical 60-year-old person. At the end, those who consumed more flavanols exhibited the memory capabilities more closely resembling a 30- to 40-year-old. Unfortunately, the average candy bar contains only about 40 milligrams of flavanol, so you would have to eat 23 of them a day to equal the amount of flavanol used in the study, which would lead to other health problems like obesity and diabetes. Other studies have similarly revealed that high-flavanol cocoa beverages cause regional changes in the brain’s blood flow, suggesting that it could be used to treat vascular impairments within the brain. Flavanols have also been reported to reduce blood pressure and other factors that lead to cardiovascular disease, improve insulin sensitivity, modulate platelet activity thereby reducing the risk of blood clots, and improve the activities of the endothelial cells that line our blood vessels. The Kuna indians living on the San Blas Islands near Panama, who consume a type of cocoa rich in flavanol on a daily basis, have unusually low rates of hypertension, cardiovascular disease, cancer, and diabetes. These studies need to be repeated with larger groups to confirm the benefits of consuming flavanols and to ensure that there are no negative effects. Still, if a cocoa beverage high in flavanols could be mass produced and marketed, we could improve human health in a very tasty way. How do we know where we are at any time – what is up and down? How do we know that we have been in a place before, and how do we know what to expect around the corner? This may sound like a simple task, but it is actually a complex, dynamic problem for our brains. That is why the scientists who have shed light on this system have received science’s highest honor. 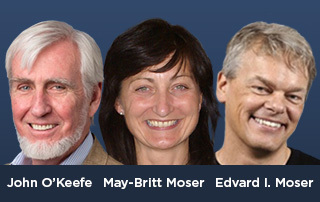 The 2014 Nobel Prize for Physiology or Medicine is awarded by the Nobel Assembly at Karolinksa Institute in Stockholm, Sweden, to recognize the most outstanding achievements in science. This year the prize was awarded to a trio of scientists who have unraveled the brain’s internal GPS system. Like it sounds, this allows us to know where we are in three-dimensional space in our environment. This year’s $1.1 million prize was split half-and-half between Dr. John O’Keefe of University College in London and Drs. May-Britt Moser of the Centre for Neural Computation in Trondheim, Norway, and Edvard I. Moser of the Kavli Institute for Systems Neuroscience in Trondheim, Norway. The Mosers are the fifth married couple to receive a Nobel. Together their work reveals the basic principles of how our brains create a figurative map of the space we occupy and how we are able use and store this information to navigate from one place to another. In the early 1970s, O’ Keefe identified a population of nerve cells in a part of the brain called the hippocampus that activate as the result of an animal recognizing it was in a specific location. These activated brain cells were named place cells. They create a map in the brain of locations corresponding to the external environment. 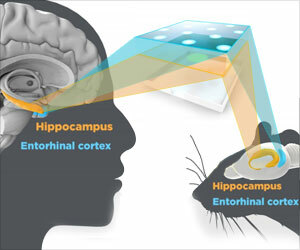 This means that a person’s perception of location is determined by the activation of a specific group of place cells in a precise orientation in the hippocampus. Before O’Keefe’s discovery, scientists did not have a good understanding of how humans perceived positional locations. Over 30 years later, the Mosers took this concept to a new level. They discovered that nerves in a nearby area of the brain called the entorhinal cortex activated when rats were in known locations. These grid cells formed hexagonal patterns, which together produced a system that is the basis for positional navigation. It works like this: the grid cells sense the directional motion of the head and the dimensions of a room. This creates a network of cells in the brain, functioning much like the Global Positioning System (GPS) used in cars and phones. This brain network tells you where you are, the direction you are moving, and what to expect in the environment ahead. Consider how difficult it would be to walk around your neighborhood without this type of information available to you. Just like with a GPS, recalculating is something the brain does all the time. The Nobel Committee for Physiology or Medicine, which has awarded 105 prizes to 207 laureates since 1901, has once again identified a significant scientific contribution that has a profound impact on our understanding of how we function as human beings. Based on statistics, you probably know someone with a form of autism. Autism rates in America grew by 30 percent from 2008-2010 and have doubled since 2000. Now, one in 68 eight-year-olds are diagnosed with autism. On average, one child in each grade of every elementary school has autism. What is responsible for the remarkable rise of this disease? Perhaps we have gotten better at diagnosing it. Now, research is working to establish how autism occurs, even before birth, and how to diagnosis it sooner. Autism is actually not a single disease but a spectrum of disorders. It is clearly related to infant development and is caused by differences in the brain. There are multiple causes of autism, but most are not yet known. One possible connection is that people tend to conceive later. The age at which women give birth has been increasing for many years and is linked to higher chances of autism. Diagnosis of autism spectrum disorders (ASD) relies on observing differences in a person’s communication, social skills, and typical behavior. Roughly one-third of those with autism are also diagnosed with intellectual deficits, but the remaining two-third have normal or above average intelligence. Most are diagnosed at four years old but some are identified by age two. This is critical because research has repeatedly shown that the earlier therapy starts, the more likely it will result in substantial improvement. A new study published in the “New England Journal of Medicine” suggests that ASD begins long before birth. This study documented changes in the cerebral cortex, which is the outermost layer of the brain. Almost 90 percent of children with autism had abnormal developments of their cerebral cortexes, centered in regions associated with social and emotional communication and language. These changes appeared as patches in the brain, suggesting that they occur during the child’s development in the womb. This may also explain why early interventions are more effective, as the brain is still developing. Currently, there is no way to spot these patches appearing on the cortex during gestation or in infants, but it could be an area of future research. However, another study, reported in the journal “Nature,” suggests that eye-tracking technology can detect autism in two- to six-month-old children. This technology looks at the ability of babies to make eye contact with adults. Those with autism show a steady decline in eye contact starting at two to six months of age. This seemingly simple behavior is actually quite complex and difficult to quantitate, requiring sophisticated video technology. Such eye movements are not noticeable to parents. If larger studies prove successful, this may become a way to screen infants for autism and begin therapy as soon as possible. Autism will continue to make headlines as a leading childhood health concern. As always, if you have concerns about your child’s activity, speech, or social interactions, talk with your pediatrician. What do brain scientists and fans of E. L. James have in common? They are both passionate about shades of grey. Results from a recent study in the scientific journal “Molecular Psychiatry” indicate that grey matter really does, well, matter. This study shows that the thickness of grey matter in the brain may be linked to intelligence and may also explain why some people have learning difficulties. Grey matter is the outermost region of the brain, a layer of tissue two to four millimeters thick covering the brain on both sides with a wrinkled surface. Underneath the grey matter, also called the cerebral cortex, is the white matter of the brain, the cerebrum. Grey matter is responsible for some major human functions including awareness, attention, consciousness, language, thought, and memory. Previous studies have shown that animals with bigger brains generally have thicker cortexes, but there has not been a strict link between intelligence and the thickness of the grey matter until now. For this new study, researchers at King’s College London’s Institute of Psychiatry obtained brain scans and DNA samples from 1,583 14-year-olds. They also tested the verbal and nonverbal intelligence of these subjects. Using DNA analysis, scientists looked for gene variants that could be responsible for the intelligence differences of this group. This proved to be a daunting task as they discovered more than 50,000 gene variants associated with brain development. However, with the help of computation biology, researchers uncovered some astounding results. Those with one particular gene variant caused by a single nucleotide polymorphism (or change) had thinner grey matter on the left side of their brains. And, these same individuals tested lower on the intelligence tests. Called NPTN, this gene encodes a protein that works in brain cells called neurons. The variant of NPTN affects communication between neurons in the brain, thereby explaining its impact on important functions of grey matter. Additional experiments suggest the NPTN variant may have more of an effect in the left side of the brain than the right side. This may correlate to lower intelligence due to the function of this important gene and its encoded protein in the left brain. While important, NPTN is not the only thing that determines intelligence – a multitude of other genes and environmental influences are clearly involved as well. However, this gene may provide new clues as to how intelligence is built in humans. Also, it will be interesting to see if this gene variant is associated with cognitive diseases like autism or psychological disorders like schizophrenia. Thanks to the new B.R.A.I.N. initiative that funds basic and translational research, we look forward to better understanding the human brain, arguably one of the most important human organs we know the least about. In the film “Eternal Sunshine of the Spotless Mind,” people can request a medical procedure that targets memories pertaining to a specific subject or person and change or delete them. Several characters choose to have their memories of unrequited love and failed relationships erased. While the plot is purely fictional, new research does provide intriguing new details on how memories are stored, and how they might be manipulated. Memories are stored in the temporal lobe and the hippocampus of the brain. Experiences produce physical and chemical changes in specific brain cells. Connections between brain cells that help with memory storage can also change. Scientists can identify the precise cells in a network involved with a specific experience. These are called memory traces or engrams. Nobel Prize winner Susumu Tonegawa and his team wanted to explore how these memory traces are stored in cells. They used cells from the hippocampus that contained a light-sensitive protein called channelrhodopsin. When a memory pertaining to these cells is accessed within the brain, the light-sensitive protein activates. To discover which cells are associated with which memories, a memory is triggered and the cells respond with the light-sensitive protein. To do this experiment with mice, researchers assessed an easily observed behavior – the fear response. They first placed mice a chamber to allow memories of that environment to be formed. While this memory formed, channelrhodopsin was being produced in specific cells to record this memory. The next day the mice were placed in a completely different chamber and received a mild electric shock to their feet and a pulse of light simultaneously, prompting a fear response. But the pulse of light activated the memory of the chamber from the first day. And the following day when the mice were placed back in the first chamber, they displayed fear even though there was no electric shock associated with that chamber. This means that activation of memory cells while receiving a shock in a different chamber produced fear associated with the first chamber. Now the mice connected the shock with the first chamber even though nothing bad happened there. This means scientist were able to implant a false memory by activating the trace of the original memory. This experiment identified the location of specific memories and showed that they could be manipulated. Not to sound too much like a sci-fi thriller, but this means in the future human memory may be able to be altered. There are positive, therapeutic applications, such as altering stress-inducing memories for war veterans with post-traumatic stress disorder. But in the wrong hands, this could be used for more sinister purposes, like mind control in “The Matrix.” Is it wise to alter any memories at all – does that change the person as a whole? Scientists and society will need to consider these questions if such experiments progress.